Flush with luscious ideas, inspiration boards have become a wedding-planning staple. However, getting from thought to actuality can be challenging (hence the term “Pinterest fail”). 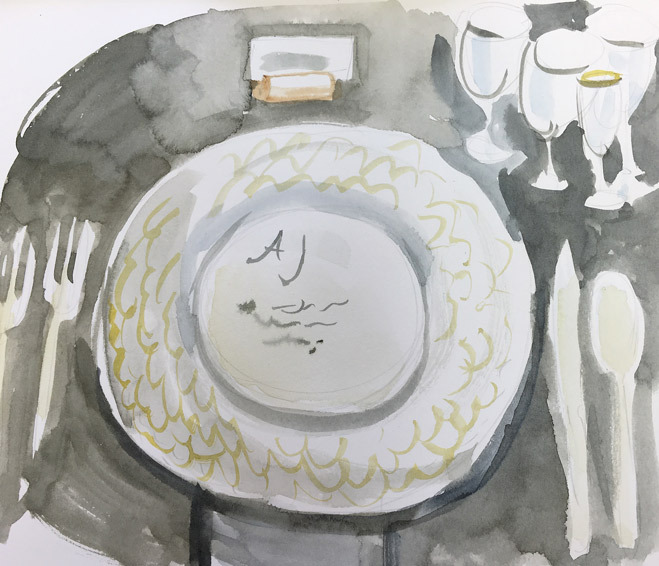 An innovative new collaboration between planner Rebecca Grant of New Creations Wedding Design & Coordination and painter Sam Day is making those visions come to life. 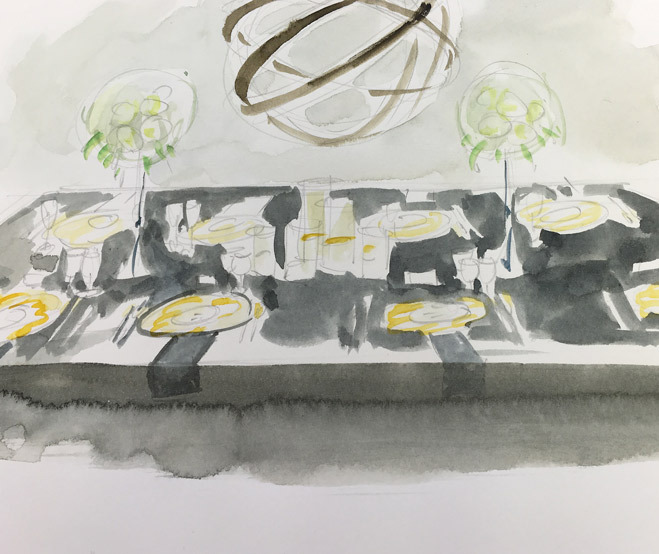 After the inspiration-board phase, Grant schedules a live painting session with her couples and Day to go through all the elements of the big-day décor as Day then paints actual examples of table settings, tablescapes and the like in his signature abstract style—first sketched in pencil and then finished with vivid watercolor paint. “The process really helps couples connect the dots and narrow down the original vision to reality,” explains Grant. “Plus, the pieces are then a beautiful keepsake for them to frame after the big day.” Available as part of New Creations’ full coordination, or day-of services with design services.